An important component of any company research project is to explore the industry in which that company operates. Is that industry booming or is it in decline? Who are the competitors within the industry? What is the outlook for the industry? Can you get financial data for the industry? BizMiner offers industry analyses: financial ratios, industry ratios, market research reports, and competitive market analyses. Hoover's Company Profiles – provides industry overview reports. 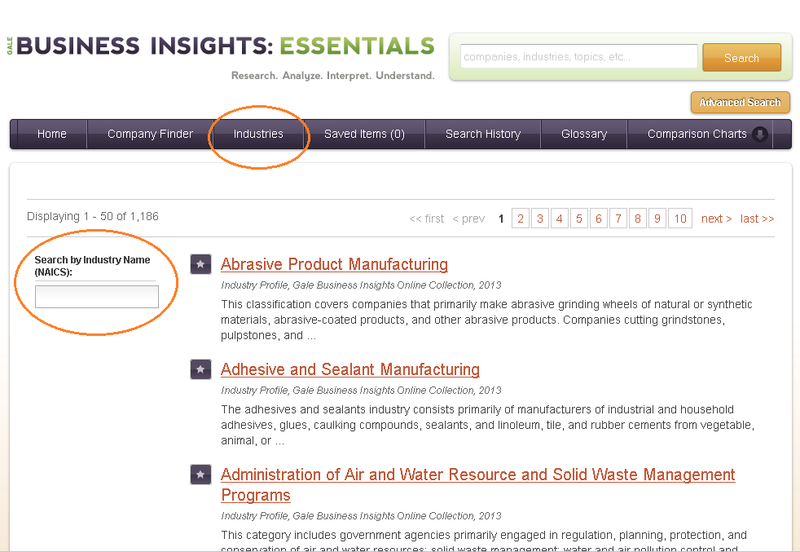 Business Insights: Essentials - has a section devoted to industry information. 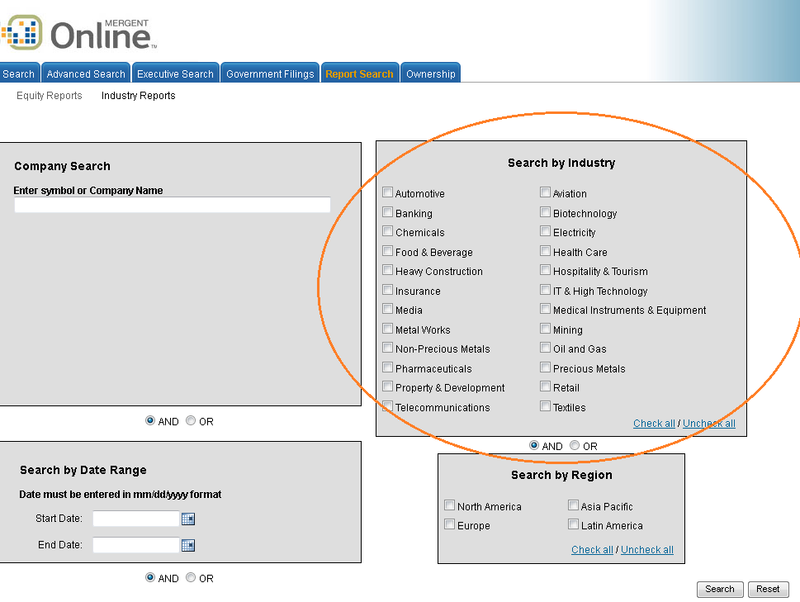 There is an industry search tab as well that allows access to the database content by industry rather than by company name. Now that you know how to get the SIC or NAICS for a company, you can use it here to get more information about the industry. Mergent - this database is a great resource for industry information. From the main search page, click the "code lookup" link to find a specific industry or go to the "Report Search" link at the top to view industry reports by region.